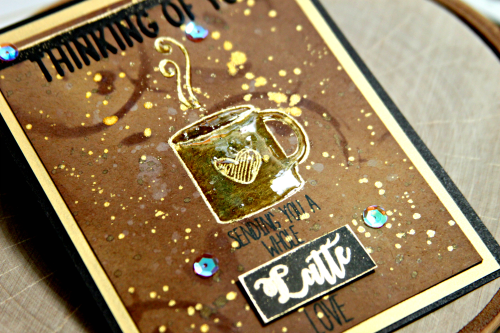 Life of a BZscrapper: Joy Clair/Coffee Loving Cardmakers Collaboration and Blog Hop! 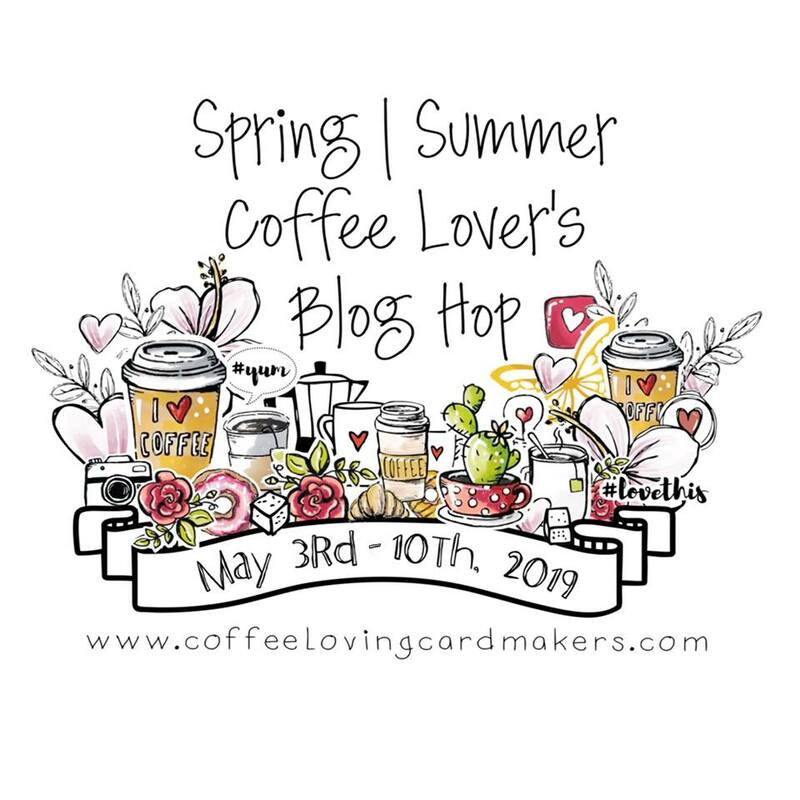 So excited to be participating in a fun Collaboration Hop with the Joy Clair Design Team and the Coffee Loving Cardmakers Design Team! 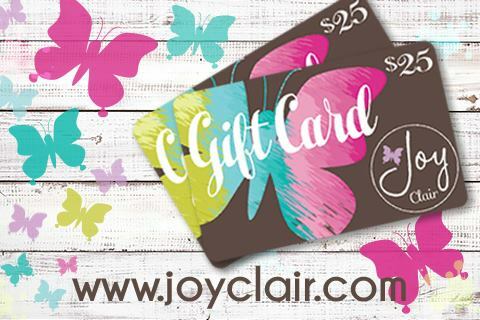 Hop along with us and be sure to leave some love along the way and you could win a $25 gift card to the Joy Clair shop! You should have arrived here from Laurel's blog! 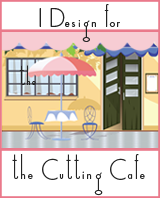 If you get lost along the way, just head on over to the Main post on the Joy Clair Blog here! I started off decorating my planner pages for the last two weeks of May... because... well... you know what's going on then! I love the large to go cup image on this set! I started by stamping it onto a variety of the printed papers from this Simple Stories pack. 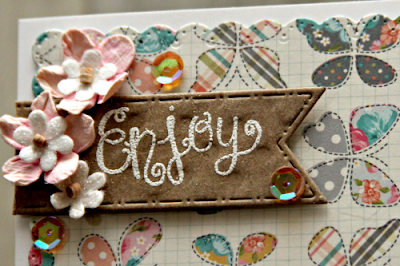 Then I stamped some onto some cream cardstock. I cut them all out and then I cut the sections apart on the printed paper and pieced and glued them together in various patterns onto the ones I stamped on cardstock. I popped them up and placed them over the die cut flourishes on my page. I added some diecut hearts and paper flowers and sequins and finally stamped some coffee beans and cut them out to use as embellishments too. I added liquid glass and they are my favorite part! That sentiment at the top is on the set and I thought it was perfect for this planner page. 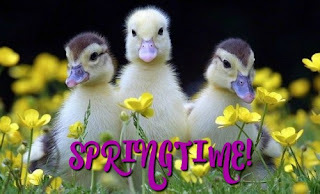 I mimicked the same pattern on the other side but used this sentiment instead on a banner. I also used the smaller to go cup to indicate the days the Coffee Truck will be at work :) .. Thursday is my favorite work day...lol! I started with some kraft paper and I was curious to see how some ink blending with distress oxides would look on kraft.. nothing earth shattering... but I love the tones it created. Then I tried splattering some water over it and sopping it up... it was cool, and it left kind of a grayish color on the paper. Next I took a coffee ring stencil and sponged some of the darker ink through the stencil and finally I splattered some Heidi Swapp Color Shine in Gold and Tea colors.... then it was time to let it dry. Have I mentioned I hate drying time?...lol! 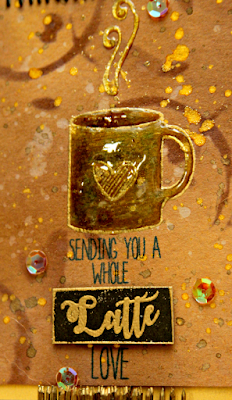 After it was dry, I stamped the mug and steam in Versamark and heat embossed with some gold embossing powder. I colored the cup using a gold Prisma colored pencil which really didn't do much for it. Then I added some Liquid Glass to the cup and steam which really brought out a cool variety of colors. ... so then I decided I needed a diecut sentiment in black... and this was the perfect one! 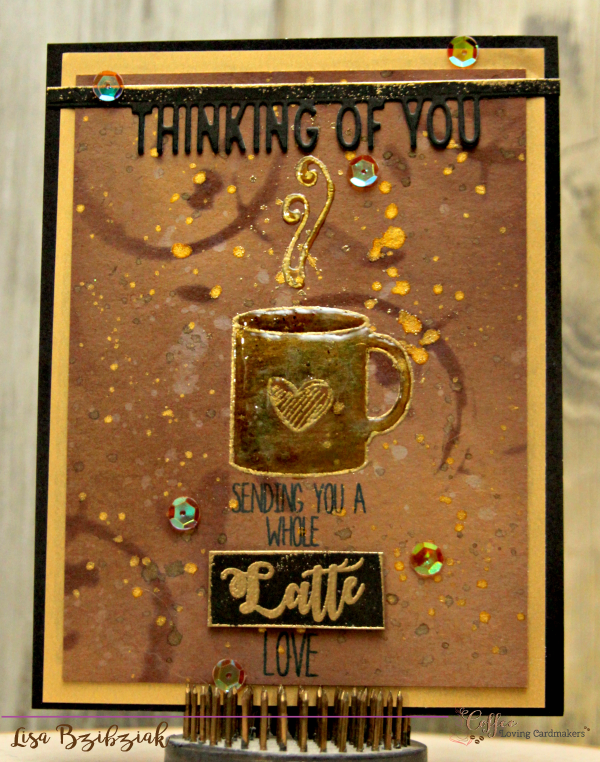 I added a little gold to the top of that too and finally this card came together for me and I love it!...So happy I stuck with it! As always, I was inspired by the beautiful colors and light airy feeling of this photo.. not to mention the beautiful flowers! I chose these Simple Stories and Lawn Fawn papers in complimentary colors. These cups are so much fun to paper piece! I stamped one on the plaid and two on white Copic Friendly paper and did some coloring and paper piecing. I also stamped the wrap onto a recycled coffee wrap. 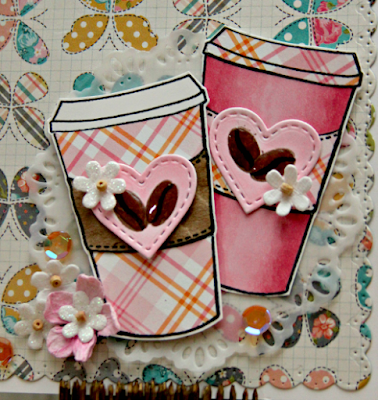 I diecut the two hearts on white copic friendly paper; colored them with one of the same pinks I used on the cup and stamped the coffee beans on them. I filled in the center of the beans with a darker brown marker and then put liquid glass on them. I used the wrap for the banner as well, along with this simple Enjoy sentiment from the Coffee Lovers stamp set. I sprinkled a few flowers and sequins around and I was done! 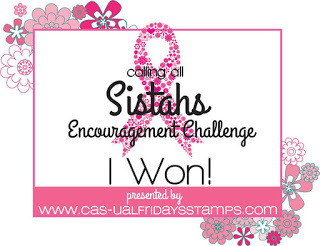 Hope you'll play along with this one.. you don't have to use Joy Clair stamps, but you'll have extra chances to win if you do! 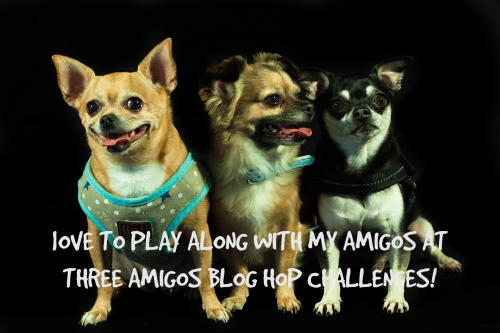 You have until May 30th to play along and you can find all of the rules on the challenge page here! That's it for me! So happy you stopped today! 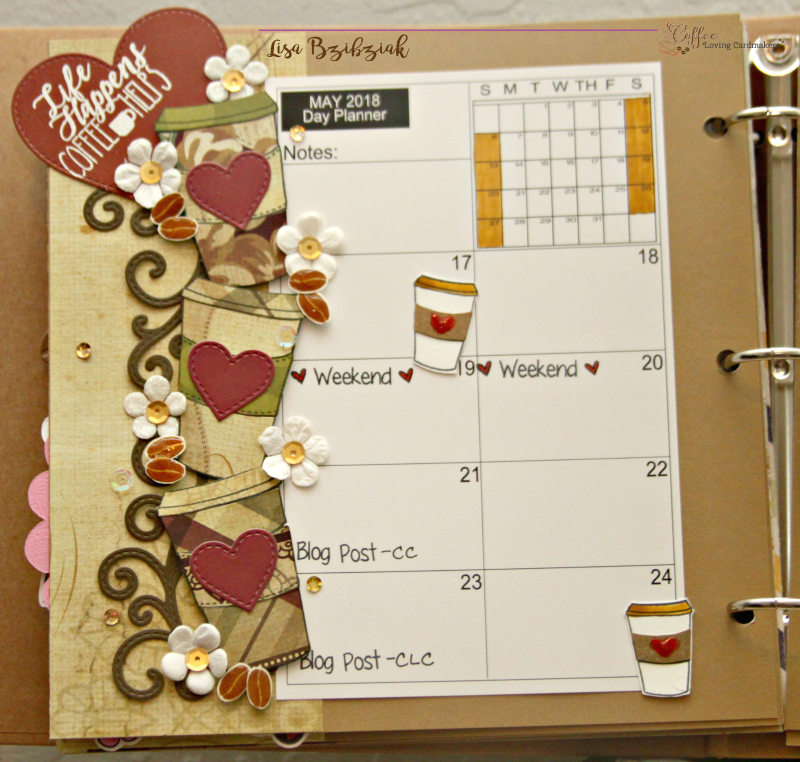 Now, head on over to Robyn's Blog and see what she's created for you today! Ohhhhhhhhhh these are all fabulous! LOVING all the cups!!! Can't wait to meet you tomorrow!!!!!!!!!!!!!!!!!!! Love your projects. I really like the texture on your second one. You're a rockstar with all your gorgeous projects! Everything is perfect! So many yummy things to look at here, Lisa! I love the layered cups, and I especially liked reading your adventure in putting together the second project. 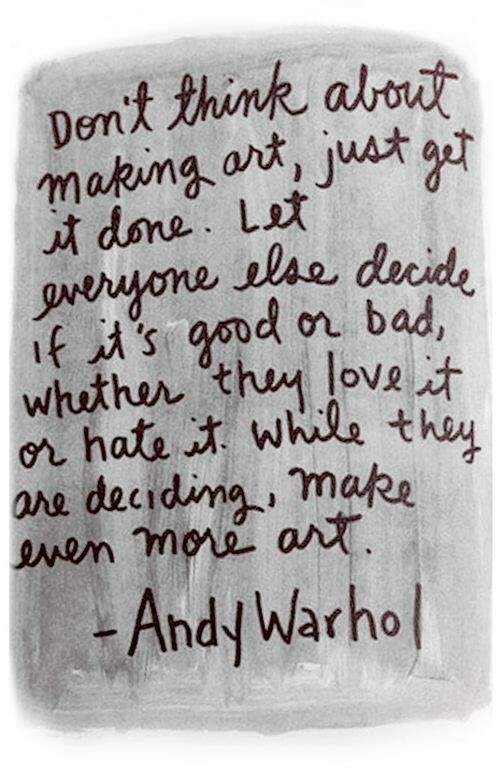 That's my kind of creating, LOL! I am swooning at all your projects. 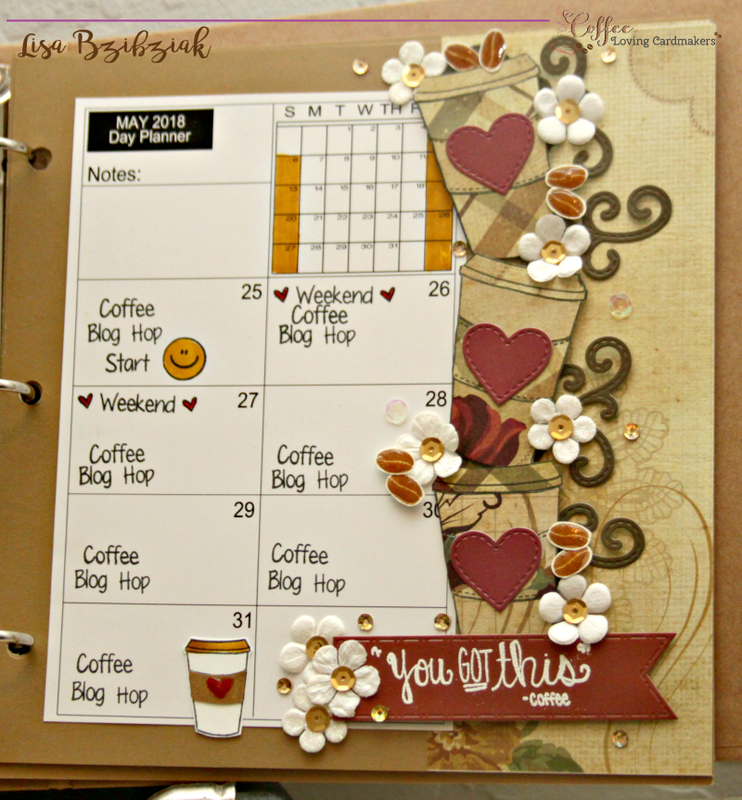 Your planner pages make me want to do one myself! The cards are so pretty, and shiny !! I love your style, Lisa! Well you are a busy creator! I now want to make a bunch of little cups with hearts to have on hand for cards. I love the little flowers too. Great work--all of it. I am amazed! Love all of it! 💕 Thanks for participating in the hop! Wow! Fabulous projects. I love all of them. So many adorable projects! Your projects just make me smile! Sweet and really beautifully done! I don't know where to start, all three of your projects are great! 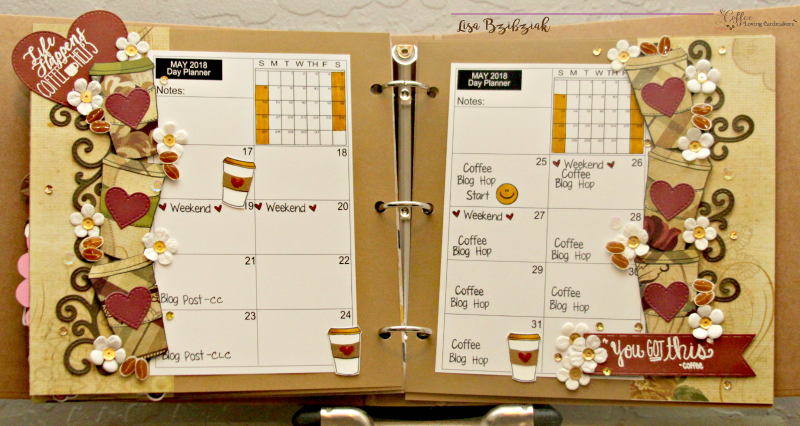 I really love the planner layout... and the butterflies... and the gold! Great projects! I love the sentiment on the one saying "Sending you a whole latte love! And the bottom one I really like the color choices going on with that one! And having a beautiful butterfly background too! really makes it pop! Your Planner is ADORABLE! 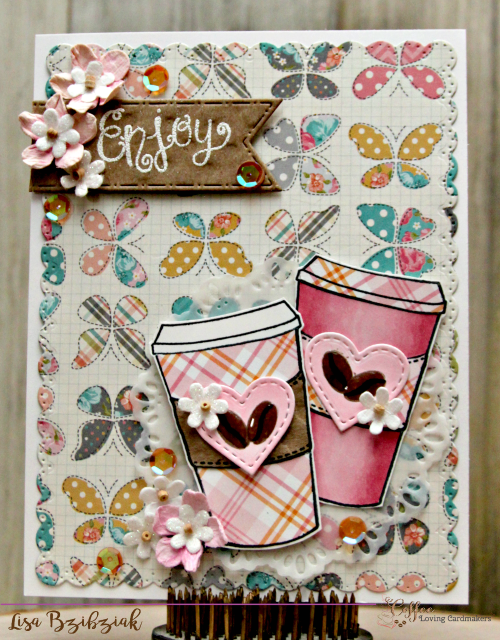 I LOVE the coffee Cups along the sides on both pages.... And your card design on the kraft card stock looks very cool!!! 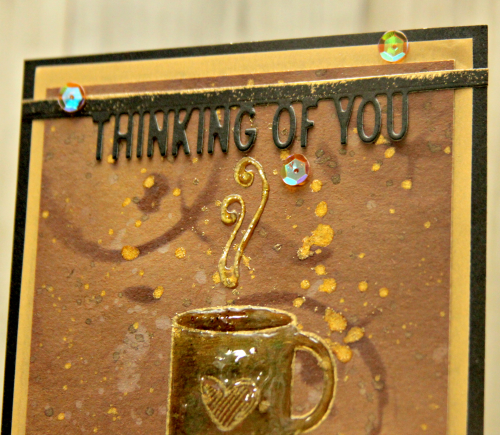 I like the oxides on Kraft... it gives it a different look & the gold really pops! I also love the pretty Butterfly paper and pink plaid coffee cups on your third project... You are a Busy Lady!!! Love them all! Have a Fantastic Mother's Day Weekend! Awesome projects! I really love the last card... such a pretty color combo and beautiful details! The 2 pages in your planner for the coming Coffee Loving blog hop are just gorgeous. You did a great job. And the challenge card is super, you choose the right papers and colours for it...just love it. Such an inspiring post! Love all you projects. Adore the Joy Clair photo and the beautiful card you made for that challenge. Your planner pages are amazing. I teach and can't wait for summer vacation when I decorate my school year planner. Thanks so much for sharing! Oh my! These are great designs and I love all the projects! Thanks for the inspiration! Fantastic projects! 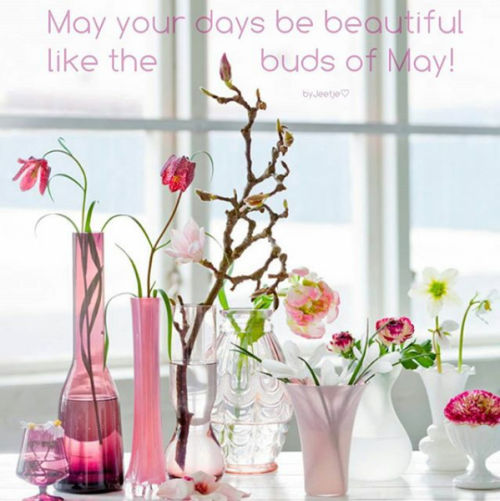 Love the rich and sweet color combinations. 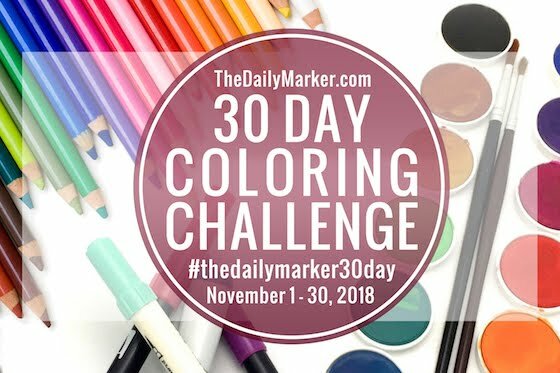 You create so much depth and interest in your coloring techniques and layers. You amaze me over and over and over again, Lisa. FABULOUS!! These are all fabulous projects! Those cards are so fun! 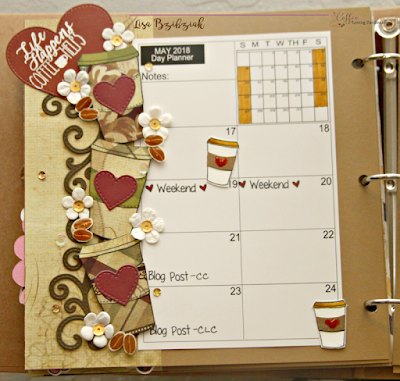 Great way to decorate your planner pages and love the cards you created! 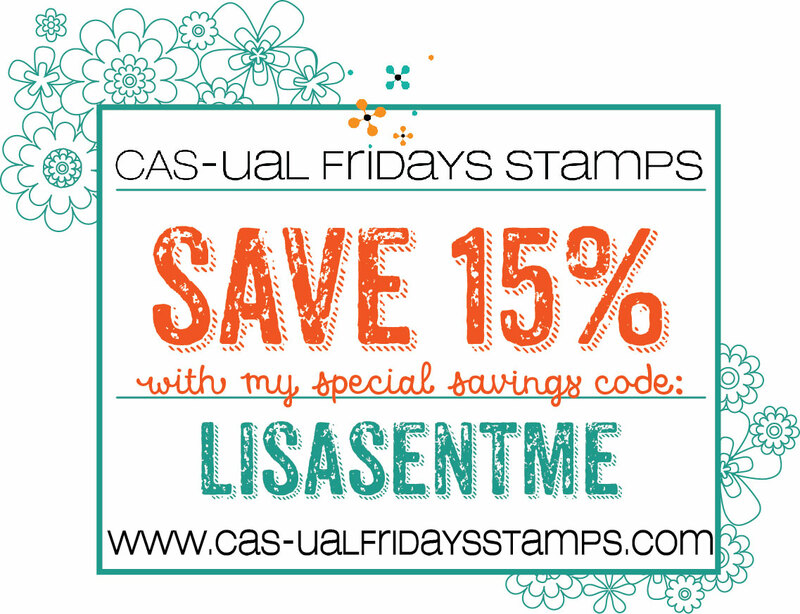 Oh, Lisa, you have been busy making so many pretty things. I want a diary like yours!! Lisa, you rocks with this amazing post. OMG, your projects are gorgeous. You are fantastic!!! WOW... WOW... I love your planner and those cards are amazing. Wow, love all the grunge on your cards! I'm a sucker for any cards with a coffee cup! Thanks for playing along with Joy Clair. Coffee Lovers Blog Hop Day 6! 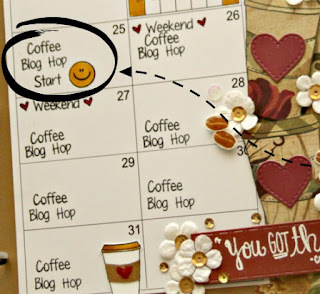 Coffee Lovers Bloghop Day 3 and 3 1/2! Spring/Summer 2018 Coffee Hop - Day 2! Coffee Lover's Hop - Day 1 with Little Acres! Caffeine Fueled Paper Play With Power Poppy! More Stamplorations Things With Wings! 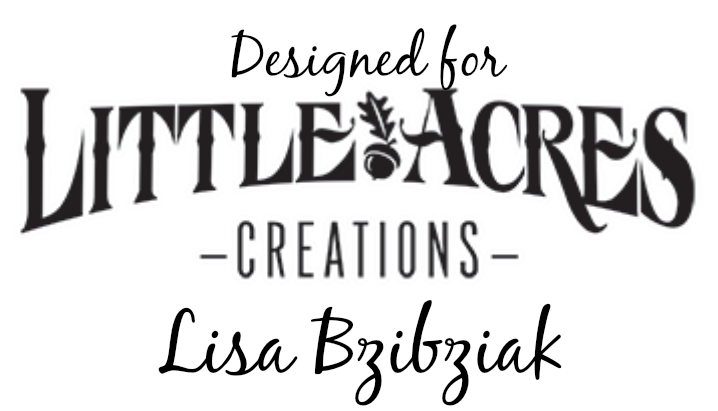 Little Acres Creations Monthly Challenge for May! Paper Sweeties May 2018 Release Party! 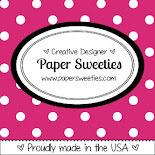 Caffeine Fueled Paper Play with Pink & Main! Caffeine Fueled Paper Play with Stamplorations!